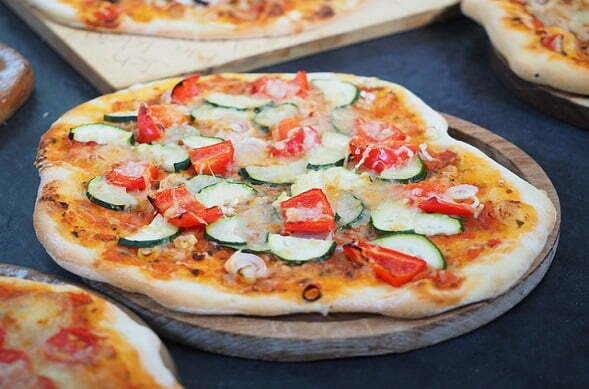 Wedding| Why Consider Serving Gourmet Pizza Perth On Your Wedding Day. A special day demands special food – so don’t risk it with anything less than the best wedding catering Perth has to offer. We’ll freely admit that when people say “wedding catering,” pizza isn’t the top of the list. Catering companies Perth tend to give specific menus and selections for weddings and similar events. The main problem with this is that everyone’s seen these before. If you want something different, something more than just the ordinary finger food catering, call us. You might not have thought of it before, but pizza can be a unique yet suitable choice for wedding catering. Pizza is one of the most beloved foods of the modern age. It has great potential to be used for wedding catering Perth because it’s inherently flexible by design. With us catering your reception, your guests will have hot, brick-fired pizzas coming to their tables. As part of our service, we focus on making sure that the flow of food is continuous. If a guest wants some, they won’t have to wait because there’s another slice or pie in the oven. Pizza Catering Perth guarantees that you’ll get a high-quality professional service. You can choose ahead of time from a list of toppings and recipes, allowing you to customise your wedding catering Perth menu. For most of our clients, this process can be more exciting than the typical “chicken or fish” selections for other wedding catering companies Perth. We guarantee that none of your guests will go home hungry. Our chef and wood fire oven will cook up pie after pie, so people always have something to bite into during your event.